With 54" Black Plastic Regulator Repair Tape. NOT Included: Window Regulator. NOTE: Fits 4-Door Wagons on the Tailgate ONLY. 1985 1986 1987 1988 1989 1990 Buick LeSabre. Power Window Motor with Tape ONLY. FITS BUICK LESABRE 2000-2004. MODEL'S LESABRE LIMITED, CUSTOM. 100% NEW HOOD LIFT SUPPORT. LIFT SUPPORTS. INSTALLATION CLIP / UNCLIP. ELECTRIC SCOOTER. "AC Delco Lift Support --. 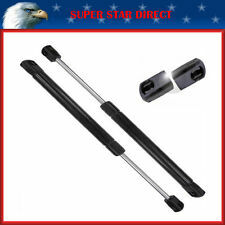 2 Lift Supports. Notes : Kit components - 2 Lift Supports. Type : Hood. Quantity sold : Set of 2. Therefore all implied warranties that may apply to your part are limited to the duration of this written warranty. LESABRE 00-05. Decklid / Tailgate. C Grade - The third level quality part. B Grade - The second level quality part. It is of average miles and normal condition for its age. A Grade - The highest quality part. ALSO FITS GM TRUCKS 1999 - 2009 TAILGATE HANDLE CLIP. GM Tailgate ( REPAIR KIT ) Rod Clip 5/32" Rod Size. Many variables go into which clip fits what vehicles. (i.e. body style,engine size, transmission, model, wheel drive, and many many more. ).